SUNDAY, June 5, 2016 (HealthDay News) -- An experimental therapy based on immune-system antibodies is helping some people with advanced stomach cancer live longer, a new study finds. The phase 2 clinical trial, involving 161 patients, focused on an antibody called IMAB362. The median survival of people using the treatment plus standard chemotherapy was more than 13 months, compared with 8.4 months for those who received chemotherapy alone, the researchers reported. One specialist in gastric (stomach) cancer care believes therapeutic advances are sorely needed. "Metastatic gastric cancer carries a poor prognosis and the treatment effectiveness of current chemotherapeutic agents leave a lot to be desired," said Dr. David Bernstein, chief of hepatology at Northwell Health in Manhasset, N.Y. While a larger, more rigorous trial is still needed, "this study is quite encouraging that this type of therapy may be effective in treating this disease," he said. The IMAB362 antibody employed in this new treatment targets a protein on cancer cells called claudin 18.2. German researchers found that study patients who had the highest levels of this protein in tumors prior to receiving the new treatment had an even longer median overall survival, at almost 17 months. The study was to be presented Sunday at the annual meeting of the American Society of Clinical Oncology (ASCO), in Chicago. The research was funded by drug maker Ganymed Pharmaceuticals AG. Study lead researcher Dr. Salah-Eddin Al-Batran directs the Institute of Clinical Cancer Research at Nordwest Hospital in Frankfurt. In an ASCO news release, he said that since "claudin 18.2 is abundant in gastric tumors, we estimate that half of all patients with advanced gastric cancer may be candidates for this new treatment." In addition, he said, "this unique target is not present in any healthy tissues except the lining of the stomach, thereby minimizing treatment side effects." According to the researchers, a larger, phase 3 study in stomach cancer patients is scheduled to begin in early 2017. IMAB362 is the first antibody to target claudin 18.2, which is also found in a number of other cancers, including pancreatic, lung, esophageal and ovarian tumors. Because of this, the same research team said it plans a phase 2 study of IMAB362 in patients with pancreatic cancers. Dr. James Grendell is chief of gastroenterology, hepatology and nutrition at Winthrop-University Hospital in Mineola, N.Y. He agreed that phase 3 studies are needed to confirm the new findings. But he called the new antibody-based approach "exciting." The therapy "utilizes agents to break down the barriers that prevent cancers from being recognized and destroyed by our body's own immune system," Grendell explained. "These agents -- such as IMAB362 in this report -- tear off the disguise and expose the cancer as the 'enemy invader' it really is." Grendell agreed that because the therapy's target, claudin 18.2, is found in a number of other tumor types, "this therapeutic antibody has the potential to improve the outlook for patients with a variety of currently difficult-to-treat cancers." 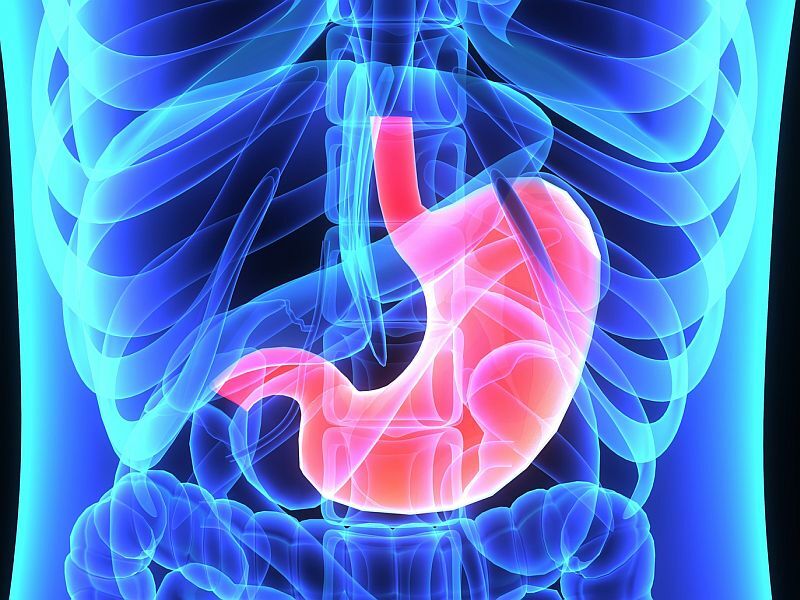 According to the American Cancer Society, more than 26,000 cases of stomach cancer will be diagnosed in Americans this year, and almost 11,000 will die of the disease. Stomach cancer affects men more than women, and typically affects people over the age of 65.